At Great Teeth Dental Care, we make getting people out of pain and managing dental emergencies as soon as possible a top priority. Almost every day our practice has phone calls from people who have either severe toothache, split a tooth or filling, has infection and swelling, or even want their teeth looking good in a hurry for a special occasion like an important job interview or meeting, or a social event. In a busy, appointment based practice, scheduling an emergency patient can be a challenge, but our systems allow us the flexibility to cater for patients that need to be seen urgently, prioritising people who are in acute pain (who we generally can see within half an hour), people with infections, and people with acute cosmetic issues. The fact that we have decades of experience in managing and treating dental emergencies, and modern high technology treatment specific equipment, makes treatment simple, efficient comfortable, and fast. We have well established finely honed systems, so that from the minute you talk to one of our experienced and professional staff they can assess your level of urgency and prioritize your appointment, sometimes with direct consultation with the dentist, and offer advice over the phone if you’re not sure how urgently you will need to be seen. BROKEN TOOTH: when a crown is required, this can be made in just over an hour. Our appointment bookings have built in flexibility and PRE-BLOCKED appointment slots so that same day emergency patients can be attended to without inconveniencing our pre-booked patients. 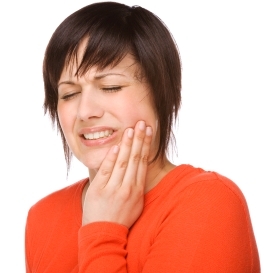 Dental emergencies can happen out of the blue, and always at very inconvenient times. They are more likely to occur in people who are not regular attenders at the dentist, but also can happen unexpectedly in regular dental attenders who have heavily filled teeth. We certainly don’t lecture those who have been neglectful of their oral health, but once the problem is stabilized, we do feel a duty to give advice and information on how to avoid a similar situation from happening again. We're really proud of the work we do here at Great Teeth. Take a look at some of our case studies, showing the amazing things we can do to restore your beautiful smile. I went in there and 20 minutes later I was done! I got the tooth sorted and a comprehensive report for $160. It wasn't the hellish experience I've had before at dentists. He used no anaesthetic (checked with me beforehand) and I didn't feel a thing. I've been back for more and paid it off. We’ve been around long enough to know that for many people a visit to the dentist can send stress levels soaring. My goal is to make visits as easy as possible for my patients. We’ve seen the unfortunate end results when anxious patients put off visiting the dentist for years – even decades, until their only option is to get help for severe pain or debilitating infection. Find the answers to some of the most common questions about tooth pain, cracked teeth, root canal, crowns and tooth grinding. FLOSSING : GIVE PLAQUE THE FLICK!